Everyone wants to have a secure house or business place and for that go for security measures like wake through gates, CCTV camera and other intrusion detection methods. Visitor management system is the latest development is this field. The last decade has seen a huge boost in the usage of visitor management system. However, the important thing to consider is that whether the cost of the system complies with the extent of the security you need for your house. The answer is definitely no for most of the users, that is why VMS is mostly used by factories, hospitals, shopping malls, parks etc. The recent past has seen a considerable boost in the usage of VMS. The awareness regarding VMS started back in the 17th century and showed little progress at the start. However, at present, it is a must and a prerequisite for establishing any huge facility. It has made it easy for larger firms and facilities with a huge number of people visiting every day to keep a record and manage the entries and exits. A VMS has become a savior to security and facility personnel to keep track of visitors within the premises, without this system it would have become an additional challenging task of collecting visitors’ info for facility managers besides tackling other generic facility management issues. It is an electronic-based system that can be integrated with other security mechanisms in use. Almost all businesses with huge facilities are incorporating VMS in their overall security mechanism. The results this system has produced are a reflection of the population this system has gained in the recent past. The latest developments in this field include pre-registration or check backs from databases or government's watch lists. Several commercial service providers offer integration with databases. Different interfaces have been designed as per desire of the user to facilitate its use. Barcode authentication is another feature that is being adopted by many multinational companies. Another way is to give badges to all visitors and sensors will sense the special code on badges to let the visitor make entry. Apart from these trends user can also get a system designed as per his needs. Special login or entry cards are another way of visitor management system. Biometrics is the next step in visitor management systems. These systems have fingerprints saved in a database. When an employee wants to make entry, he has to place his thumb on biometric machines and it reads from the database. If it matches, the door opens and at the same time keeps a record of the time of entry. The Same procedure is followed while exiting at the end of office hours or during lunch break. The companies are extensively using embedded systems, especially by companies having multiple offices at different locations. The embedded system allows entering all details of the individual in a card and that card can be swiped at entry points. The embedded data is confirmed from the database and entry is allowed. Embedded systems have another advantage that even the databases are centrally linked between offices or units in separate countries. All movement can be monitored in any unit while sitting in company’s headquarters. Embedded systems can be easily operated and integrated with other security arrangements. 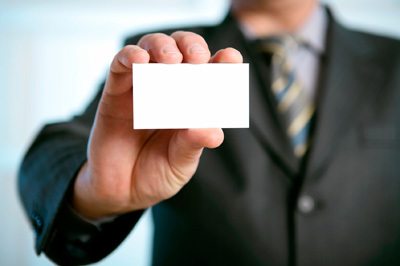 An online portal in offered on which all employees can apply for embedded cards. This helps in creating the database automatically. The company management just verifies the entered data and then same data is extracted to be placed on the card. Same data is available to all offices of the company, store or parks of the city. It allows all concerned to take benefit of the one-time effort. The database is regularly maintained and updated. A designing and selling visitor management system is a challenge these days. The main reason is that user has own requirements and a manufacturer has to take of them. The design must be user-friendly and easy to handle. Complicated and cumbersome solutions die down early in the present competitive market. Quantum of visitors is also important in designing the system as it directly dictates the size and technology to be used. VMS are available in different price ranges in the market and sellers offer special discounts for purchasing multiple applications. Visitor management systems are equally useful in government installations. Parks, hospitals educational institute are some of the examples where this system can be used effectively. VMS is a necessity for the police department. A detailed database containing details of residents of the city, which is accessible to all units of police, is a handy tool. This database can be incorporated into any kind of visitor management system. Visitor management system for hospitals is equally important. The visit history of the patients makes it easy for the receptionist and doctors to trace back until the first visit. The medication, blood pressure, and heartbeat rate data are available to doctor to draw a comparison of the patient’s health since the last visit. Different applications can be incorporated into an overall system to make it even handier. VMS is surely a must-have business application for organizations that has huge footfalls. Ignoring to install a good visitor management system is a direct answer that an organization is not serious about its security mechanism. However, there are several other ways like manually tracking a visitors’ entry in logbook to maintain records, but this manual system produces a lot of chaos due to its inefficiency and it simply becomes a standard omission procedure rather than a standard operating procedure as nobody in the organization check backs the visitors’ entry and exit.